What importance has the recent Swiss referendum to ban the building of minarets (spires next to mosques from which the call to prayer is issued)? Some may see the 57.5 to 42.5 percent decision endorsing a constitutional amendment as nearly meaningless. The political establishment being overwhelmingly opposed to the amendment, the ban will probably never go into effect. Only 53.4 percent of the electorate voted, so a mere 31 percent of the whole population endorses the ban. The ban does not address Islamist aspirations, much less Muslim terrorism. It has no impact on the practice of Islam. It prevents neither the building of new mosques nor requires that Switzerland's four existing minarets be demolished. It's also possible to dismiss the vote as the quirky result of Switzerland's unique direct democracy, a tradition that goes back to 1291 and exists nowhere else in Europe. Josef Joffe, the distinguished German analyst, sees the vote as a populist backlash against the series of humiliations the Swiss have endured in recent years culminating in the seizure of two businessmen in Libya and the Swiss president's mortifying apology to win their release. However, I see the referendum as consequential, and well so beyond Swiss borders. 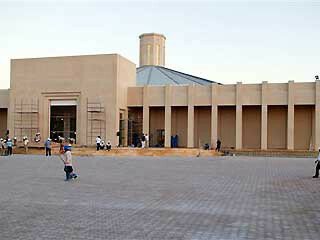 "Our Lady of the Rosary," Qatar's first Christian church, lacks cross, bell, dome, steeple, and signage. First, it raises delicate issues of reciprocity in Muslim-Christian relations. A few examples: When Our Lady of the Rosary, Qatar's first-ever church opened in 2008, it did so minus cross, bell, dome, steeple, or signboard. Rosary's priest, Father Tom Veneracion, explained their absence: "The idea is to be discreet because we don't want to inflame any sensitivities." And when the Christians of a town in Upper Egypt, Nazlet al-Badraman, finally after four years of "laborious negotiation, pleading, and grappling with the authorities," won permission in October to restore a tottering tower at the Mar-Girgis Church, a mob of about 200 Muslims attacked them, throwing stones and shouting Islamic and sectarian slogans. The situation for Copts is so bad, they have reverted to building secret churches. Why, the Catholic Church and others are asking, should Christians suffer such indignities while Muslims enjoy full rights in historically Christian countries? The Swiss vote fits into this new spirit. 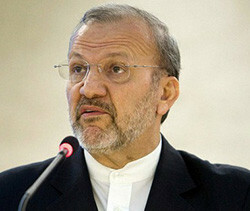 Islamists, of course, reject this premise of equality; Iranian foreign minister Manouchehr Mottaki warned his Swiss counterpart of unspecified "consequences" of what he called anti-Islamic acts, implicitly threatening to make the minaret ban an international issue comparable to the Danish cartoon fracas of 2006. Iran's Foreign Minister Manouchehr Mottaki warns of "consequences" for anti-Islamic acts. France: 49,000 readers at Le Figaro, by a 73-27 percent margin, would vote to ban new minarets in their country. 24,000 readers at L'Express agreed by an 86-12 percent margin, with 2 percent undecided. A leading columnist, Ivan Rioufol of Le Figaro, wrote an article titled "Homage to the Resistance of the Swiss People." President Nicolas Sarkozy was quoted as saying that "the people, in Switzerland as in France, don't want their country to change, that it be denatured. They want to keep their identity." Germany: 29.000 readers at Der Spiegel voted 76-21 percent, with 2 percent undecided, to ban minarets in Germany. 17,000 readers of Die Welt voted 82-16 in favor of "Yes, I feel cramped by minarets" over "No, freedom of religion is constrained." Spain: 14,000 readers of 20 Minutos voted 93-6 percent in favor of the statement "Good, we must curb Islamization's growing presence" and against "Bad, it is an obstacle to the integration of immigrants." 35,000 readers of El MUndo replied 80-20 percent that they support a Swiss-like banning of minarets. Although not scientific, the lop-sidedness of these (and other) polls, ranging from 73 to 93 percent majorities endorsing the Swiss referendum, signal that Swiss voters represent growing anti-Islamic sentiments throughout Europe. The new amendment also validates and potentially encourages resistance to Islamization throughout the continent. For these reasons, the Swiss vote represents a possible turning point for European Islam. Dec. 9, 2009 update: This column builds on a blog initially publishd on Nov. 30, "The Swiss Ban on Minarets: A Possible Turning Point," with many updates.